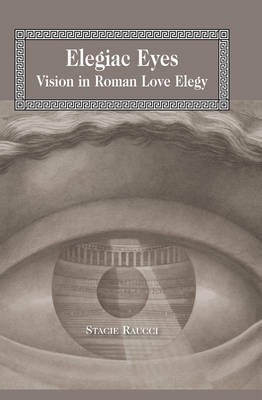 Elegiac Eyes is an in-depth examination of vision and spectacle in Roman love elegy. It approaches vision from the perspective of Roman cultural modes of viewing and locates its analysis in close textual readings of Tibullus, Propertius, and Ovid. The paradoxical nature of the Roman eyes, which according to contemporary optical theories were able to penetrate and be penetrated, as well as the complex role of vision in society, provided the elegists with a productive canvas for their poems. By locating the elegists' visual games within their contemporary context, Elegiac Eyes demonstrates how the elegists were manipulating notions that were specifically Roman and familiar to their readership.